The School of Hotel and Restaurant Management at The W. A. Franke College of Business is internationally recognized for our commitment to student-focused hospitality education. HRM at NAU offers a wide range of student clubs and organizations that offer a great way to network with other students and industry leaders, build valuable leadership experience, and have fun! In the HRM program, you’ll experience individual attention from professors and staff who are interested in helping you grow, and develop the skills necessary to be an entry-level manager in the industry. Northern Arizona University’s School of Hotel and Restaurant Management aspires to be recognized as a premier hospitality leadership school providing student-centered, multi-culturally focused, and innovative academic experiences both in person and through distance learning programs. The School further aspires to become a center for hospitality education: a community where students, faculty, staff, alumni, and industry professionals connect to advance knowledge about the hospitality industry throughout their careers. 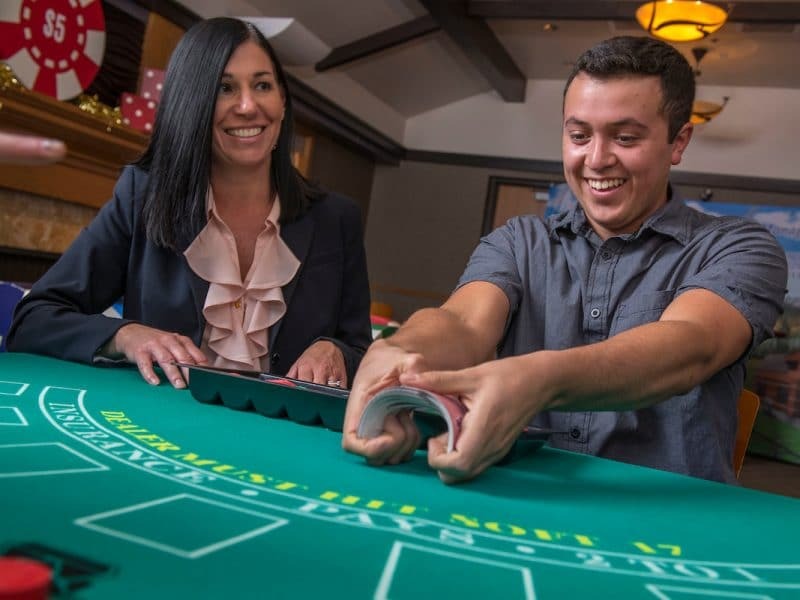 Northern Arizona University’s School of Hotel and Restaurant Management prepares socially responsible, culturally-aware students for success in an ever-changing, global hospitality industry through rigorous academic programs informed by faculty research and meaningful industry engagement. Fairness, honesty, and the highest ethical standards guide the School’s decisions and are the foundation for the School’s culture. The School values innovation and strives to expose students to the most current issues and accomplishments in the hospitality industry through active partnerships with industry partners, current research, and innovative teaching techniques. The School works to instill in students a desire for lifelong learning and invites industry professionals to continue their endless education through partnerships with the School. Student success takes a priority in the planning of curriculum, co-curricular activities, and student services. To that end, the School delivers relevant curriculum that is under regular review to ensure it meets the needs of students, employers, industry leaders, and other stakeholders. The School recognizes that different students have different educational needs and supports diverse paths to success. The School further recognizes that success includes education as responsible citizens, lifelong learners, and productive and fulfilled human beings. The School values the participation of students, faculty, staff, alumni, industry professionals, and others in the development of hospitality professionals and encourage input and engagement from them. The School values diversity of demographics, culture, experience, and perspective.